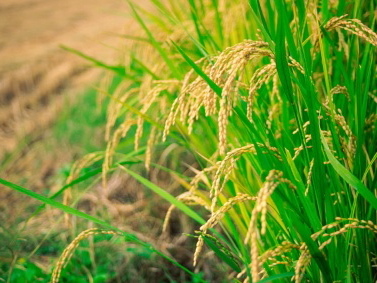 Most people in the U.S. don’t realize it, but rice is the most important food crop in the world. Two-thirds of the world’s population (more than 4 billion people) eat rice every day, and for too many people, a bowl of rice will be their only meal. Global rice production totals more than 400 million tons, much of it consumed within just a few miles of where it was grown. The exception to this local consumption of rice is the United States, where half of the crop is exported and the largest purchaser of rice is Anhauser-Busch, the maker of Budweiser beer. U.S. rice is a globally traded commodity, and most rice farmers have no idea what happens to their rice once it leaves their fields. The grains get commingled with rice from other farmers, with no thought as to whose rice might actually taste good. As a commodity, rice prices tend to be so low that farmers make just enough to keep farming another year. With little profit and no connection to people who actually eat rice, it is a very unsatisfying way to farm. This is the world of rice farming that I have known since I was a kid. I’m the fourth generation of my family to grow rice in California — a 92-year-long string of rice crops. The system of rice growing and marketing that I grew up with turned me off of farming, and my wife, Raquel, and I actually worked as tropical biologists in Costa Rica for about five years before returning to the farm. What drew us back were the opportunities for hands-on conservation and social work that farming provided. We are converting more and more of our family’s farm to organic farming methods, while also raising our five children (all were adopted, three of them from foster care). 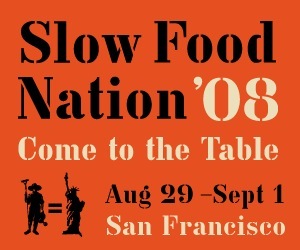 This Labor Day weekend, artisanal food producers from around the country — cheesemakers, ranchers, farmers (including Massa Organics) and more — will be traveling to Slow Food Nation in San Francisco to celebrate authentic American foods. Throughout July and August, Culinate is proud to host some of these small-scale food producers as guest bloggers. The biggest change we have made in the way our farm operates is to actually take responsibility for the marketing as well as the production of our crop. This is a highly unusual thing for a commodity farmer to do. Most farmers do well with production but let large grain corporations handle the marketing; the farmers end up taking whatever price they’re offered for their crops. This is not a strategy for staying in business long-term, so for the last two years, we’ve been direct-marketing our organic brown rice through farmers’ markets, restaurants, schools, and hospitals. As far as I know, we are the only rice farmers in the country to sell rice at farmers’ markets. The monetary return is better, but the most positive aspect of the way we market is the connection that our farm now has to our community in northern California. Where once we had no idea whether our rice ended up in a can of beer or got put on a ship headed for Japan, we now have people calling our cell phones asking for tips on the best way to cook our rice. It is a powerful experience the first time someone tells you their kids loved the rice they had for dinner last night, and that yours is the only rice they will buy from now on. Direct marketing has been a powerful tool for us. We are now free to focus our efforts on growing great-tasting rice, rather than just high yields. Our kids have a more tangible understanding of what we do, and are proud that their pictures adorn our packaging. And in true Slow Food tradition, we have connected our customers to a previously anonymous food.